A slip ring basically can be understood as a electromechanical device which allows an effective transmission of electrical and power signals from a stator to a rotor. The slip ring is also known as a rotary electrical joint, electrical swivel, or a collector. They (slip rings) can be practically employed in any equipment which requires a continuous flow of data and power signals. Some of the leading slip ring manufacturer have come with somewhere around 10,000 different designs for both customizable and standard slip ring. However, all kinds of slip ring has integral four parts which can be seen in any slip ring. A ring offers more than one circuit path, where each ring is designed in such a way that is electrically conductive. They provide a circular path for over a 360 degrees rotation of a ring assembly. The brushes are an integral part of any slip ring assembly as they establish electrical contact between the stationary and the rotating part of the concerned assembly. It is usually mounted on a brush block assembly and is generally attached to the stator component. The output and input leads introduce a connection of brushes and the ring to the external environment. 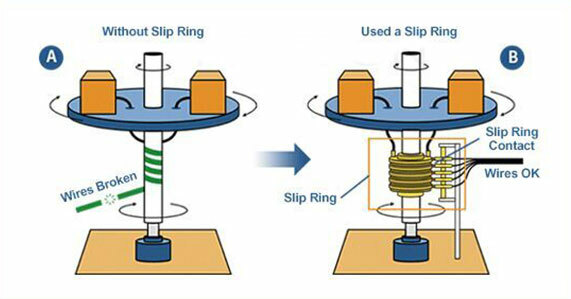 If any part of the slip ring on which a user has a say as to whether it has to be included or not, it is the connectors. However, they are as important as the other three parts. The connectors establish a link to the wiring of slip ring assembly. 1.Enhances the performance of the application. 2.Slip to a great extent simplifies the operational structure. 3.Abstains the damage-prone wires from entering the path of movable joints. There is a certain parameter which is quite necessary to be met for an efficient operation of the specific application. 1.Data bus for transmission of data signals which include Profibus, Ethernet, and firewire. 2.Choice of cable type which is used for connection in slip ring. 3.Ascertaining a suitable upper limit cable length between the receiver and transmitter. 4.Keeping a close look at the upper limit of the data rate required. 5.Having a proper check on the maximum amount of errors produced. 6.Physical attributes like diameter and the length of the wire to be used. 7.Applying an adequate circuit and getting hold of ratings such as the Voltage and the current. 8.Maximum rotational speed during operation. 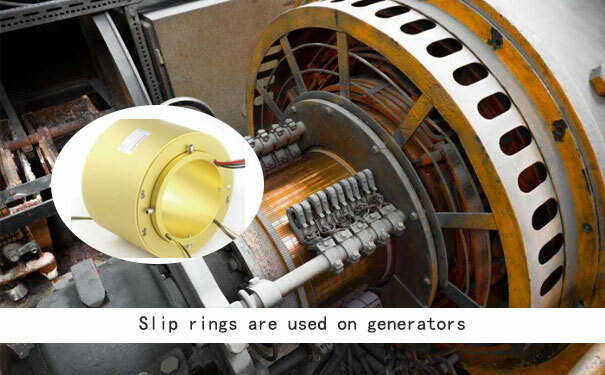 9.The environment under which the slip ring has to operate.